Ballymacarron is a rural townland on the west coast of Strangford Lough, in County Down. 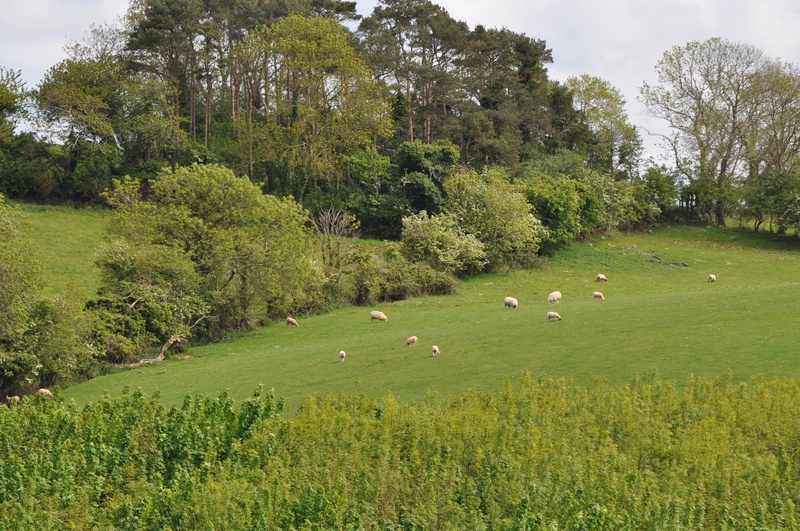 To be more exact, it lies east of the A22 road (the main road between Comber and Downpatrick), south of Ballygeegan and Tullymore, and north of Ringdufferin. I had to look twice at the sign in the next photo, but yes, the road and the townland are different. 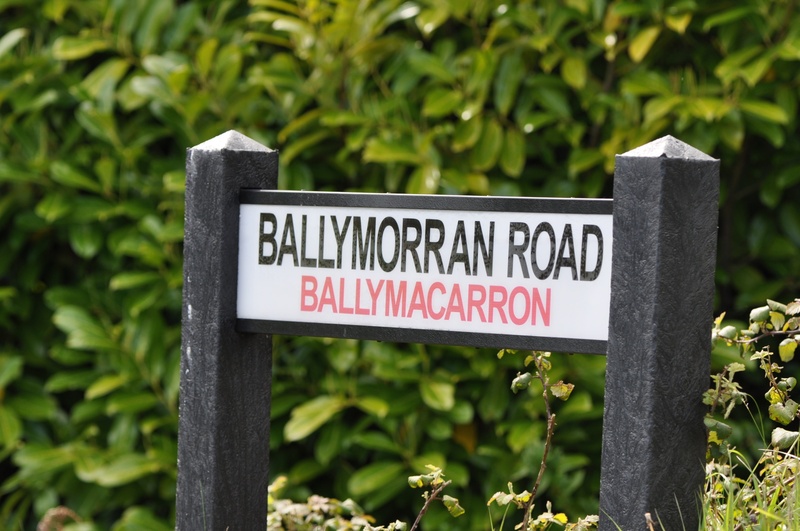 This road, named for the neighbouring townland of BallyMORRAN forms the northern boundary of BallyMACARRON and joins the A22 at Ballygeegan. Behind me, as I took the next three photos, was the Ringhaddy Road, which continues north-east to the townlands of Tullymore, Rathgorman, Islandbane and Ringhaddy. I don’t think the cattle give two moos about the roads or the origin of the name Ballymacarron being “McCarron’s townland” from the Irish Baile Mhic Cearáin/Ciaráin (as explained on the PLACENAMESNI website.) 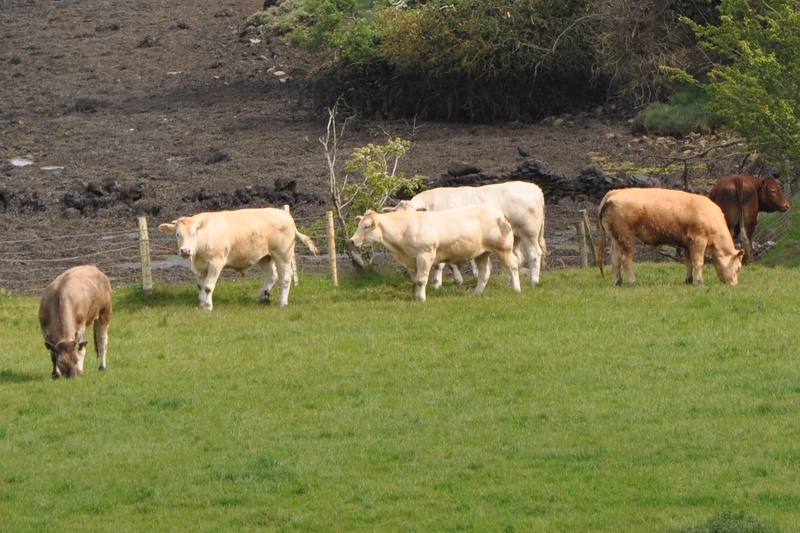 Their only concern is to find enough grass before they hit the townland boundary and the water of the lough. 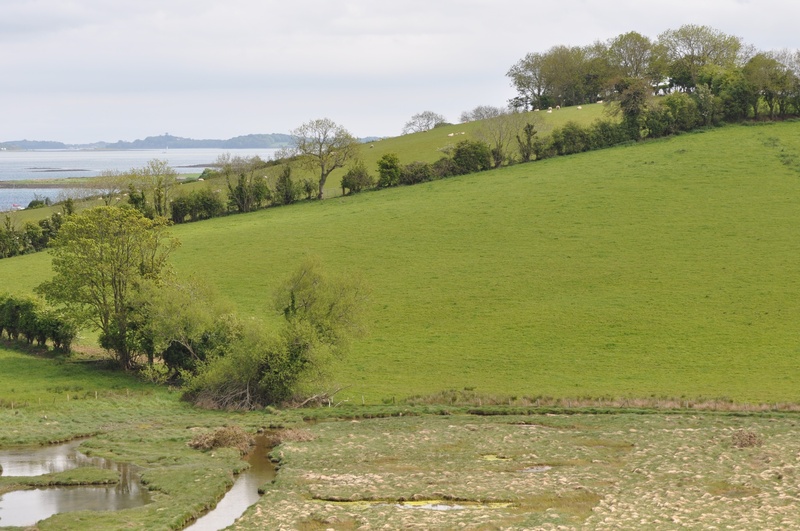 Which other townlands border Ballymacarron? To the south, Ringdufferin and Ballymacromwell. To the west, Clay and Ballygeegan. 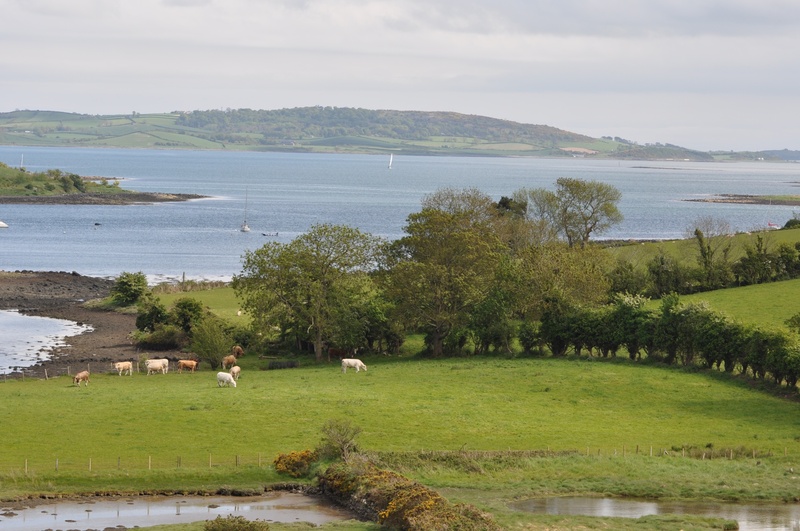 To the north, Tullymore and Rathgorman. To the east, across the lough, Islandbane. And finally, click here to see a map of Ballymacarron and to read about the townland’s name on my usual source, the PLACENAMESNI.ORG.